Call (716) 338-4901 as you realize the water is coming. If you take pride in digging yourself out of life’s difficulties, seeking professional help after flood waters rise in your Jamestown home might be hard to justify. The harm done to a property by flood waters is not minor nor easy to manage with a DIY approach. Scalable crews, IICRC training, appropriate and powerful equipment, and experience are just some of the reasons why we are positioned to manage flooding loss better than a homeowner alone. Trying to do all the tasks necessary for safe and effective flood damage remediation in Jamestown as a solo effort is doomed to failure. The water must be removed fast, not dealt with bit by bit. Water that remains standing or soaked into structural components after 24 to 48 hours is likely to become a microbial breeding pool. If you believed that managing the flood on your own would save money, the challenges posed after mold takes hold makes it clear why our crews save you both time and expense. The sheer quantity of water that sweeps through your home during overland flooding is overwhelming. We can have a multi-person crew on-site fast, with the commercial capacity equipment that provides answers to any questions concerning why SERVPRO can handle flooding better. Our managers swiftly categorize the water flowing in, ensuring that you and your family know to keep a healthy distance from grey or black water. Contaminants in flood waters likely contain sewage, road and landscaping chemicals, and even disturbing items like dead animals. Appropriate containment and lawful disposal of the tainted water shields you from viruses, bacteria, fungi, and other harsh and toxic substances. We prepare for and take responsibility for this complex filthy water management scenario, a core reason why SERVPRO exists to help in our community. Once the water is contained and discarded the drying phase commences. Why SERVPRO is the local industry leader is evident when you watch the skill with which our crews balance air movement, temperature, and humidity to draw trapped water out of structural components. Cleaning with properly matched products and disinfection with EPA-registered antimicrobials ensures a fresh and sanitized space, quite the transformation from the flooded chaos just hours before. Once we complete your flood damage remediation, you will be sharing with friends and family why SERVPRO of Jamestown / Olean is the only choice. Call (716) 338-4901 as you realize the water is coming. We pledge to exceed your expectations. Click here for more about Jamestown. When your home is effected by flood damage you need someone you can rely on, SERVPRO is available 24/7. Call us right away. Whether from melting snowpack, heavy winds and rain, major plumbing breakdowns, appliance malfunctions, or other causes, large quantities of water pouring into your Olean home spell trouble. The disaster does not allow you much time to determine a course of action as water damage is immediate and relentless. Our training and experience demonstrate why we are the obvious choice when you seek a reliable and efficient water loss solution. Flood damage in Olean needs a fast response. As the water rises inside your home both structural components and contents are at risk. Our team of IICRC-trained technicians is backed by a vast inventory of state of the art equipment that makes quick work of removing water and drying out walls, floors, and ceilings. We arrive with the workforce and the tools on board, awaiting a rapid assessment by our project manager before hitting the ground running. Speed and competence are why we deliver superior results. Household goods, furnishings, clothing, personal property, and documents are also in danger when flooding occurs. Our pack-out service, using the Contents Claim Inventory Service (CCIS), creates a comprehensive inventory and tracks the articles as our production facility technicians evaluate, clean, dry, and refurbish your treasures. Our commitment to develop and implement the skills to restore all your property is why SERVPRO is the disaster recovery company to count on. After we evacuate all the flood waters, using thermal devices and moisture meters to locate hidden caches of fluids, we move to drying mode. Flood cuts and other controlled demolition might be needed to release trapped water and improve airflow for drying. We clean and sanitize the affected areas and then determine what structural components need repair and restoration. Offering in-house rebuilding services is another example of why SERVPRO stands alone as a full-spectrum disaster restoration company. We have crews of experienced construction specialists and an embedded civil engineer on the team. The capability to take your flood-damaged home from assessment to complete reconstruction is why SERVPRO of Jamestown / Olean is a unique resource in the region. Call us at (716) 338-4901 to schedule an immediate evaluation of your emergency. Come out and enjoy the City of Olean Easter Egg Hunt click here for more details. Don't let mold damage invade your resturant. • What makes mold in restaurants? • Where will you likely find mold? • What can you do to prevent mold? • What should you do if you find mold? Once you know these things, you can protect your business against this pesky fungus and all its negative effects. What Makes Mold in Restaurants? 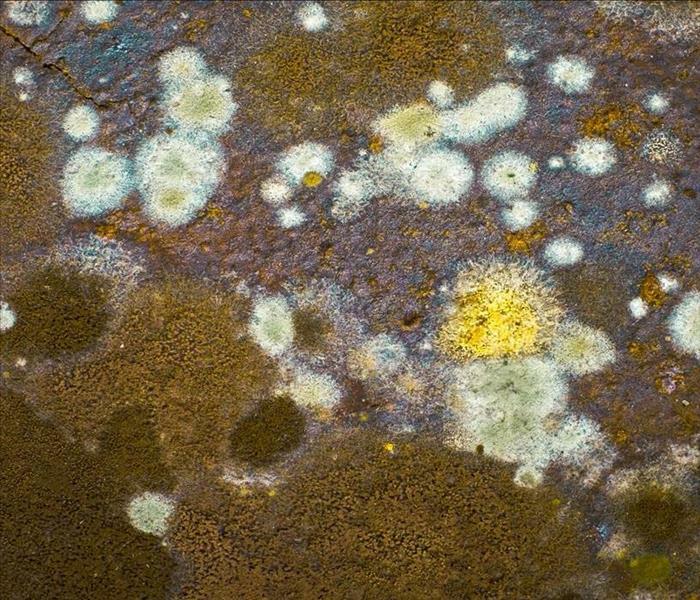 Mold is a notorious enemy of many restaurant owners, but what makes it so prevalent? 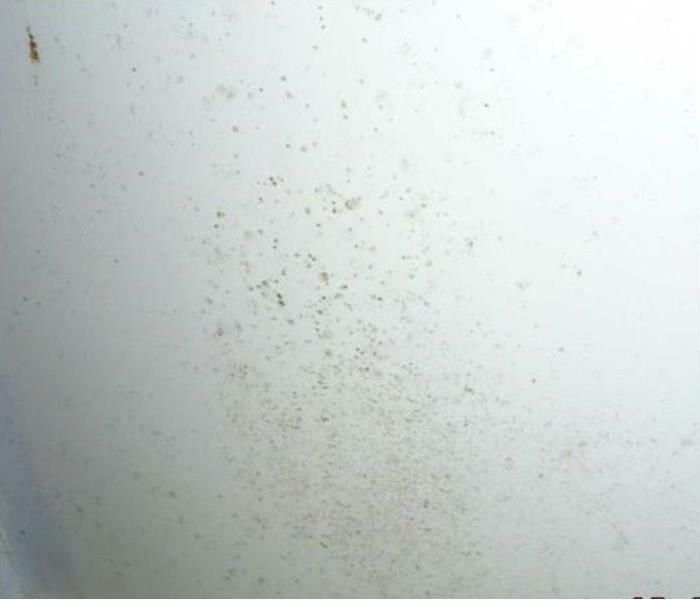 Mold spores are everywhere, but they typically stay unseen and are not a nuisance. However, mold growth becomes a problem when high humidity takes over. Anyone who has worked even one shift in a restaurant knows that the kitchen is a hot, humid place in the middle of a rush. Combine the humidity and the dark corners in the restaurant, and you have a recipe for a mold problem. Where Will You Likely Find Mold? Check your restaurant’s basement, storage areas, and floors for mold. Furthermore, you may wish to check around any plumbing and in those often neglected corners of the kitchen. The darker and damper it is, the more likely mold will find a home there. The best way to deal with mold is to stop it from infiltrating your restaurant in the first place. You can do this by conducting visual inspections regularly. Furthermore, you may want to install excellent ventilation systems. These systems can keep you from having the high humidity that makes mold an issue. Don’t try to tackle this problem yourself. A professional remediation service in Olean, New York, can take care of the mold growth correctly and get you back on track soon. Contact SERVPRO of Jamestown / Olean today for all your mold remediation needs at (716) 338-4901. Click here for chamber events in Olean, NY. If Water Has Damaged Your Drywall In Your Jamestown Home, Call Our Specialists! Our SERVPRO of Jamestown / Olean rapid response team is available 24/7 to restore the effects of a water loss incident to your home. When water loss incidents originate in the walls of your Jamestown home, drywall can quickly show the effects of this unexpected disaster. Within 24 hours, this drywall can become too overly saturated to get preserved through our restoration approaches, leaving no other option but flood cuts or entire removal of affected panels. To avoid what can sometimes be costly reconstruction efforts, even with our controlled demolition techniques, you should get our professionals working on water removal and drying as promptly as possible. While you should work to shut off the valve supplying the service line of your home, this does not remove the water damage that has already begun to take hold. Our SERVPRO professionals have effective moisture detection and thermal imagery cameras to help us identify potential problem areas where moisture pockets have formed. These tools can direct our technicians to areas that require the most concentrated drying and extraction efforts, and where drywall has become most saturated by the water loss incident in your Jamestown home. In the matter of a day, saturated sheetrock drywall can begin to erode and degrade. These effects cannot get reversed or restored once they have started. The only preservation of affected drywall occurs by our SERVPRO team working before the deadline gets reached where this material becomes unsalvageable. In these situations, we can employ our air movers, dehumidifiers, and injectidry system to remove moisture from the material and the wall cavity beyond it. Beyond this deadline where drywall is no longer salvageable, our team must determine the extent of the damage to the material. We tape off the moisture line that separates dry material from the wet, saturated base towards the flooring. We can utilize controlled demolition techniques to remove this affected portion of drywall indicated by our flood cut line to make later reconstruction faster and more cost-effective. Certain materials cannot withstand direct moisture exposure for long before they become too damaged to save. 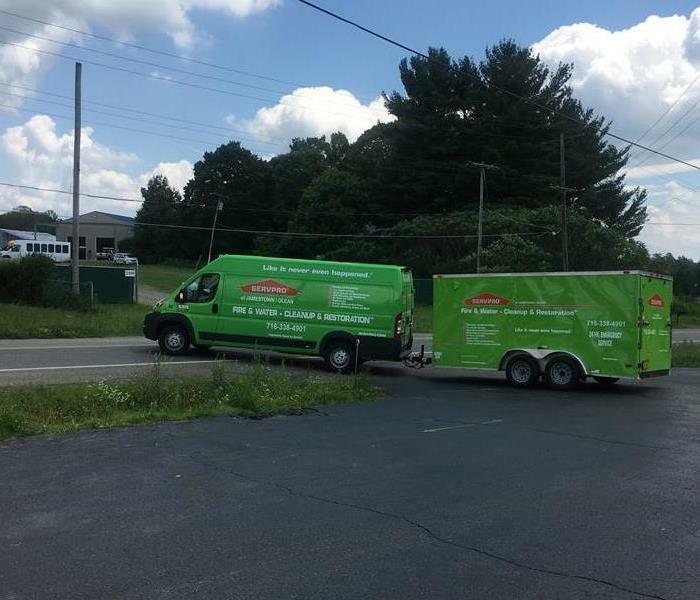 Our SERVPRO of Jamestown / Olean rapid response team is available 24/7 to restore the effects of a water loss incident to your home by calling (716) 338-4901. Floodwater brings contaminants into your home. SERVPRO has the kmow-how to safely remove the water and restore your home. Natural flooding exposes your Jamestown home to many potential hazards and health risks that make it unsafe for your family to remain in the property until restoration work has completed. 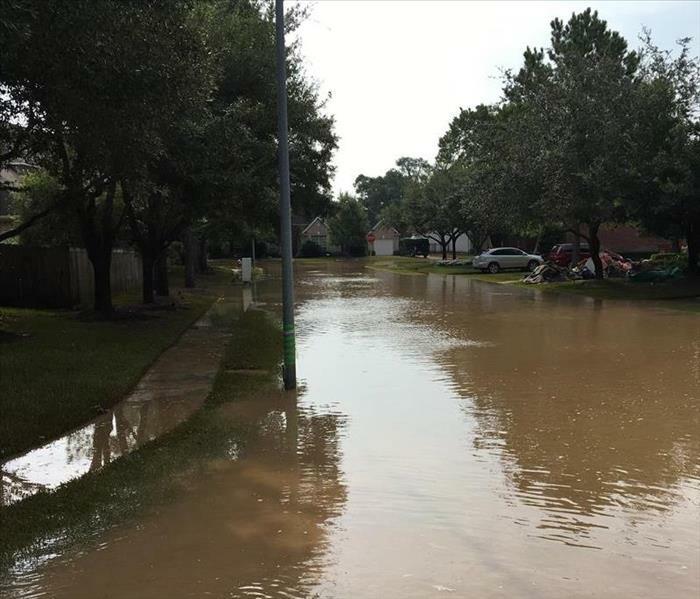 With the unknown paths that floodwaters can take to reach your home, many potential contaminants could exist in this invading water that spreads bacteria and other harmful substances throughout the structure and contents of the house. Our professionals can help with fast response and effective cleanup practices. As much as you might want to handle the assessment of the flood damage to your Jamestown home on your own, the risk for contamination is considerable with natural flooding, and it is inadvisable to do so. Our SERVPRO professionals arrive with the full measure of our personal protective equipment to wear as we set up the machines for extraction. This step is a vital component to preparing your home for the debris removal and cleanup efforts that it requires. Once extraction has completed throughout the exposed areas of your property, our estimator and project manager can begin an assessment of the damage and what exposed elements must get removed. 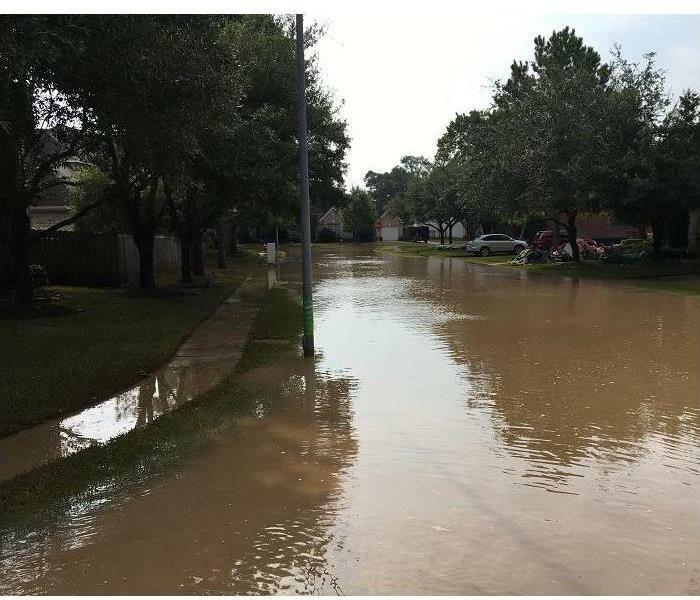 With black water flooding, nearly all of the exposed materials and construction elements must get removed to eliminate the potential for continued spread of bacteria, chemicals, and other harmful contaminants to the occupants of the household. We prepare your home for the reconstruction it requires following a disaster like this with effective debris removal. When we reach structural elements like studs and beams, we can work to disinfect and clean these components to prevent further demolition. We can also spray these areas with an antimicrobial solution to make them uninhabitable to mold growth, which can happen quickly in this moist environment. While you cannot predict when flooding can occur to your home, you have options regarding the best choice to help you clean up the mess and restore your property. Our SERVPRO of Jamestown / Olean rapid response team can make flooding “Like it never even happened.” Give us a call today at (716) 338-4901. When you are faced with water damage from plumbing issues call our trained technicians right away. We are available 24/7 to help with any problems. Whenever plumbing issues arise like a leak or break in the pipes of your Jamestown home, you must work quickly to secure the right professional assistance to restore the damage. 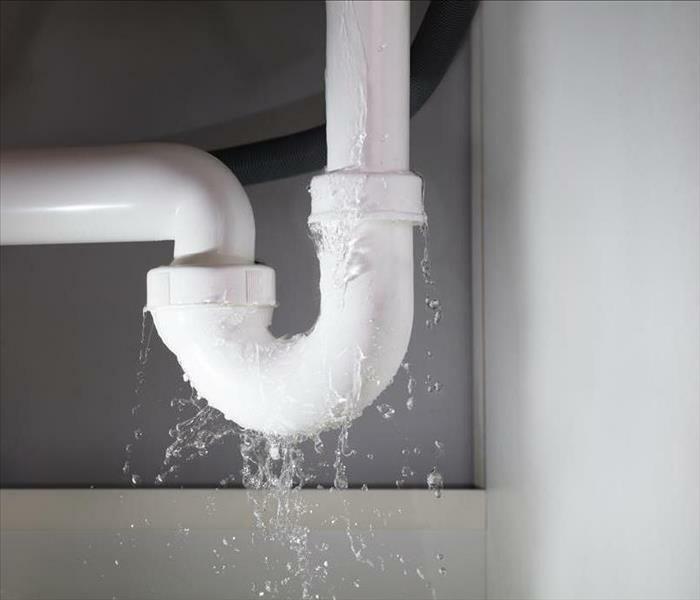 Much of your network of plumbing gets hidden behind walls, and therefore, it can be challenging to determine the precise source of the water loss occurring. Our rapid response team can help by arriving quickly with the tools to extract and dry out water saturation, as well as work quickly to identify the source of the damage and repair it. Choosing the right professional restoration team to dry out and clean up your Jamestown home’s water damage is vital, as many of your options do not have the emergency response that our professionals do. We can dispatch production trucks and personnel to an address 24 hours a day, working to ensure that our effective mitigation tactics can begin right away to protect exposed elements and materials throughout your property. The SERVPRO professionals that arrive all have IICRC certifications as water restoration technicians, making the entire team prepared for their role in restoring your damaged home. Identifying the source of the break is often as simple as using leak detection devices. These tools use auditory elements to cue where leaks formed behind the drywall, allowing us only to remove the portions of the wall necessary to access and repair the plumbing damages. Drying out these wall cavities and exposed materials often involve many pieces of our advanced equipment beginning with our air movers. These high-velocity machines can force hot air into saturated materials and moist areas to begin rapidly drying exposed elements. LGR dehumidifiers can also work to drop moisture levels throughout the affected area quickly. For getting into wall cavities and eliminating the lingering dampness, our SERVPRO team can rely on our injecti-dry system. There are many steps to restoring water damage in your home that must begin right away. Our SERVPRO of Jamestown / Olean professionals remain ready for any emergency you have to face. Give our experienced team a call 24/7 at (716) 338-4901. To enroll for Spring programs click here. It’s nice to know SERVPRO is there for you. As you go throughout your days, you may not think much about your insurance coverage or which company you would hire in the event of a disaster at home. But if something unfortunate happens and you need competent help, it’s nice to know SERVPRO is there for you. This trusted emergency cleanup and response company will not only handle the restoration dirty work, but the team can assist with insurance claims as well. Good insurance coverage will protect you from heavy losses following a disaster at your Jamestown, NY home that requires emergency response. When the insurance company and SERVPRO work together, you can expect a smooth and effective process while you recover from the incident. Recommends restoration instead of replacement when possible. Keeps a detailed inventory of losses. Has convenient electronic claim services. Following a flood or other disaster at a home, it may be impossible to salvage or repair much of anything. However, SERVPRO will do all in its power to ensure your home and belongings are restored. The company will pretest everything to evaluate what it can restore, thus saving money on the insurance claims process. To make a claim with the insurance company, it’s best to provide the agent with a detailed list of everything you lost in the disaster or everything that sustained damage. SERVPRO offers superior claim services by listing everything in an itemized, organized manner so the insurance company can get a full picture of the extent of the damages. This process can be done electronically for speed and efficiency purposes. For a seamless process in making a disaster claim, you need a competent, multi-faceted restoration team on your side. This company will communicate with the insurance team to help ensure you get the coverage you need. You don’t have to clean up after a disaster, and you shouldn’t have to work with the insurance company on your own either. SERVPRO can also work with you on claim services to give you the peace of mind that you’ll get the insurance benefits you expect. Contact SERVPRO of Jamestown/Olean for mold remediation services. SERVPRO of Jamestown/Olean specializes in mold cleanup and restoration, in fact, it’s a cornerstone of our business. Our crews are highly trained restoration professionals that use specialized equipment and techniques to properly remediate your mold problem quickly and safely. Mold on a wall in Jamestown home. Handling a mold remediation project is a job for the experts. SERVPRO of Jamestown/ Olean is trained and specializes in remediating any size mold jobs. The first thing to do when mold is discovered, is to get an environmental hygienist to come out and test the microbial growth. This will determine what kind of mold it is and the proper course for treatment. After seeing mold jobs of all kinds, we have the experience and knowledge to handle any size situation. 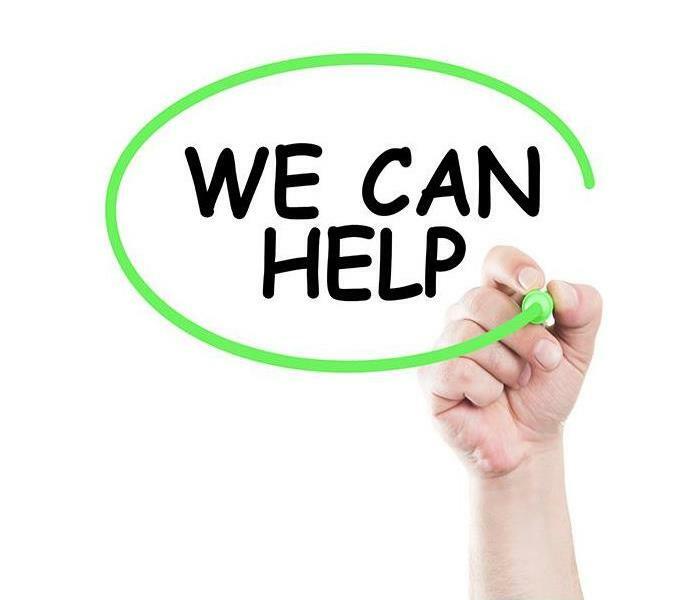 We are here to answer any questions you may have an assist you with your situation in your home or business. If you have any questions about how to handle a mold remediation project, feel free to reach out to us at anytime. When you are expecting bad weather such as a snow storm in Lakewood,NY , it might be tempting to carry on business as usual. However, this is rarely a good idea. Storms can create an unsafe environment for you and your workers, so you should make sure that you are properly prepared. Here are some ways to keep your business safe during bad weather. The first step in being prepared is to stay informed. If you don’t know what is happening, you can’t protect yourself or your business from it. You should make sure to watch the local news and weather reports when you are expecting a big rain or snow storm so you can plan accordingly. It is a good idea to create a policy for bad weather before you need it. That way you can ensure that all of your employees know what is expected of them in an emergency situation. Having a thorough bad weather policy that includes procedures for a variety of weather conditions will enable everyone to be on the same page. Be sure to include information on when workers will and will not be expected to come into work. 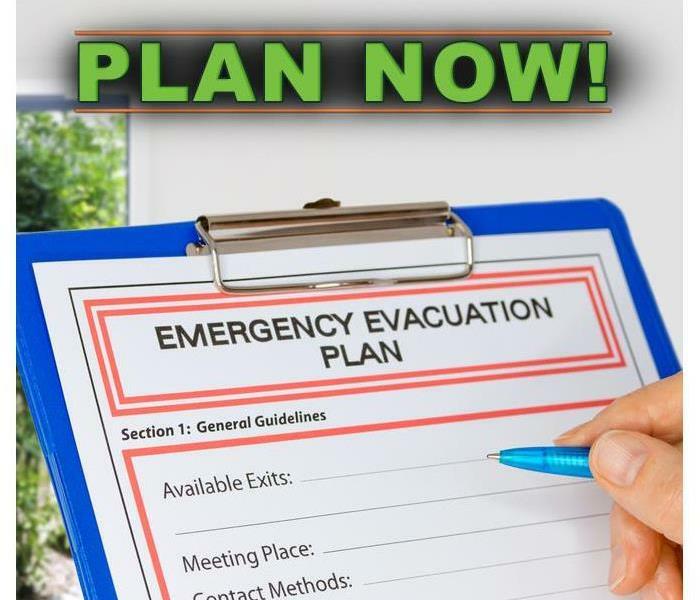 If you have employees working during inclement weather, it is important to have an emergency evacuation plan in case things turn bad quickly. Have a designated escape route that you can use to get everyone to a safe area and make sure everyone is familiar with the plan. If you are expecting a storm, you should take steps to protect your building as well as your workers. Focus on protecting against moisture by sealing doors and windows as well as keeping the temperature above freezing. If a pipe burst, it could flood the building and leave you needing water damage repairs. While a snow storm might just seem like an inconvenience, it can easily turn dangerous. Having a proper plan can keep your business safe. 3/20/2019 - If Water Has Damaged Your Drywall In Your Jamestown Home, Call Our Specialists!